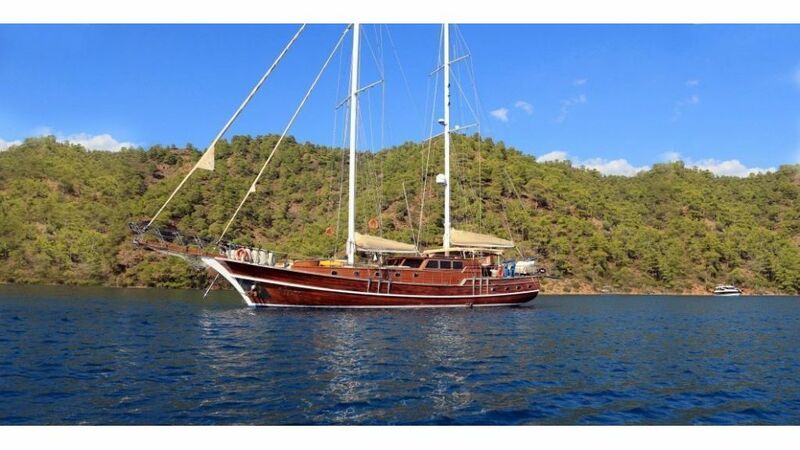 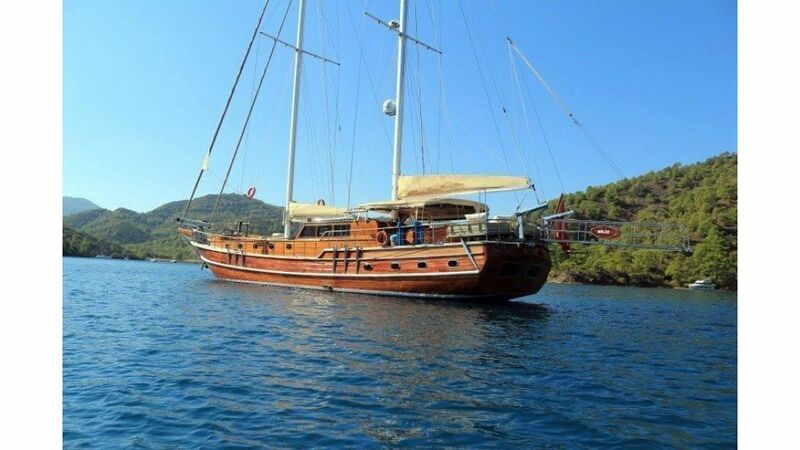 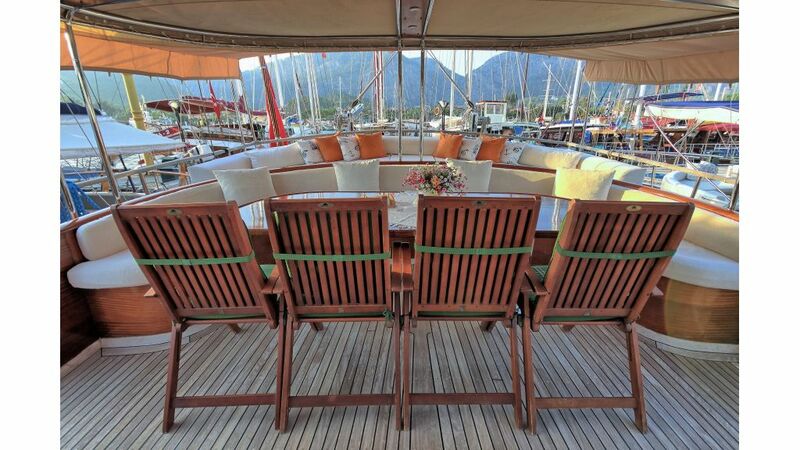 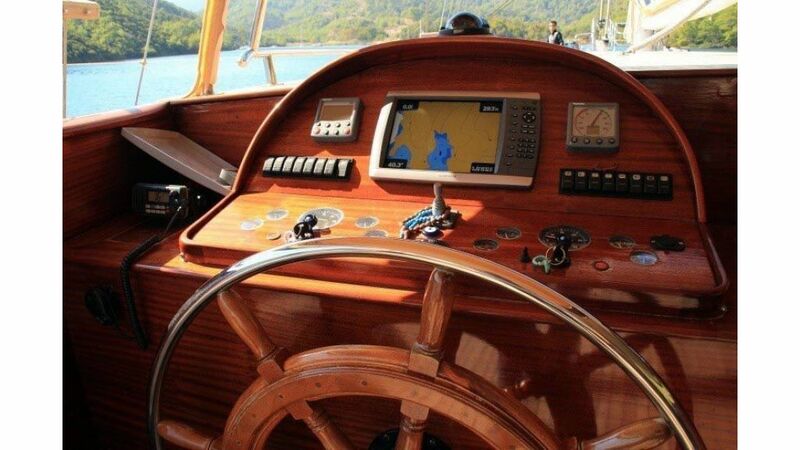 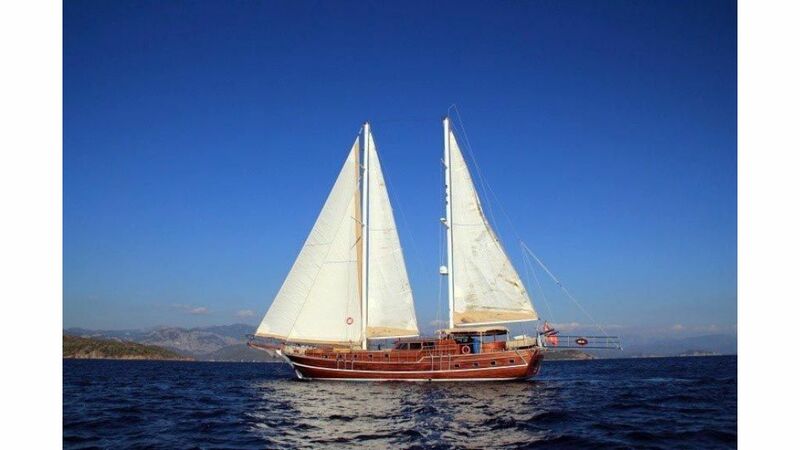 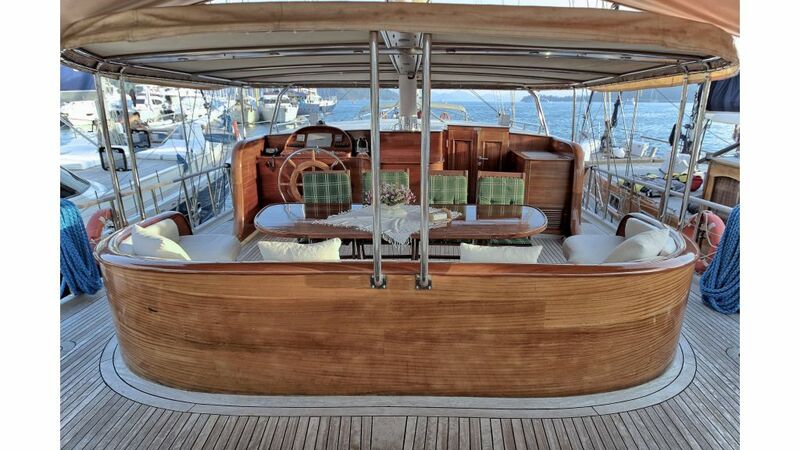 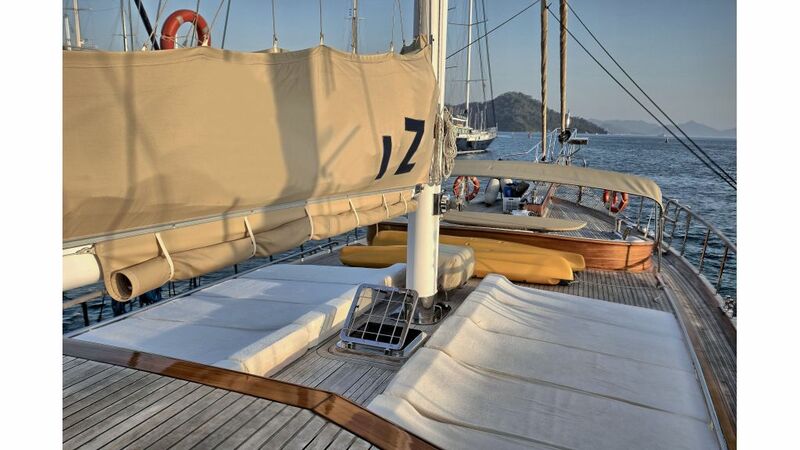 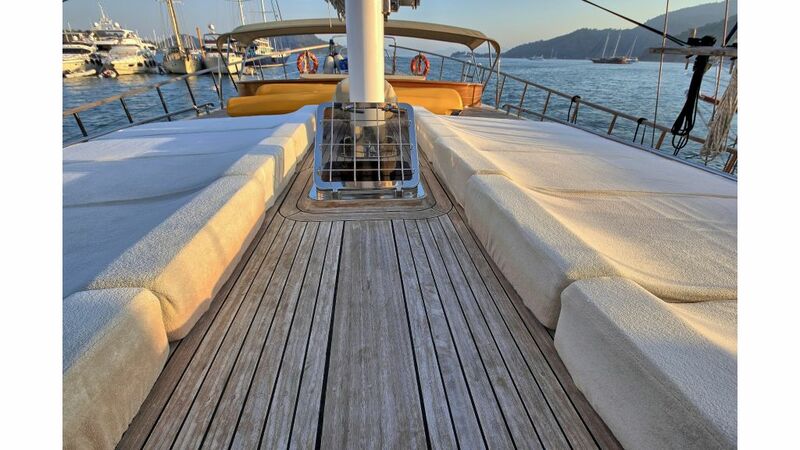 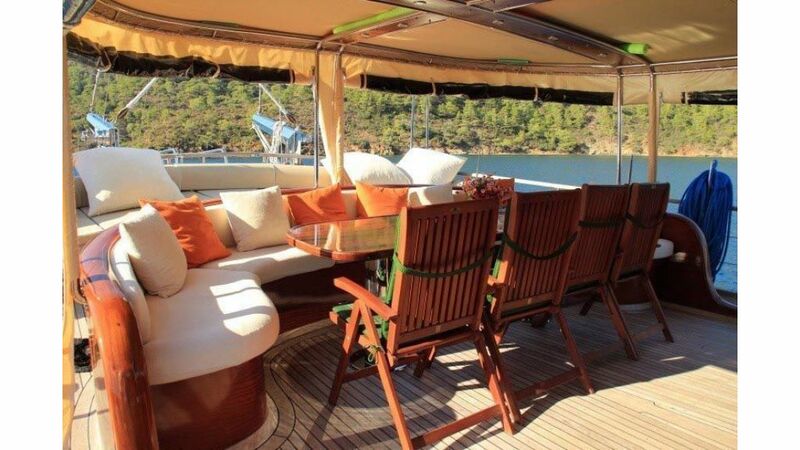 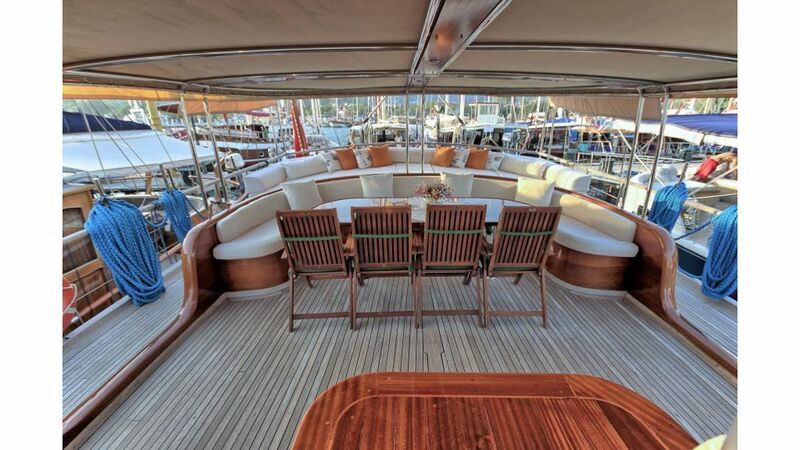 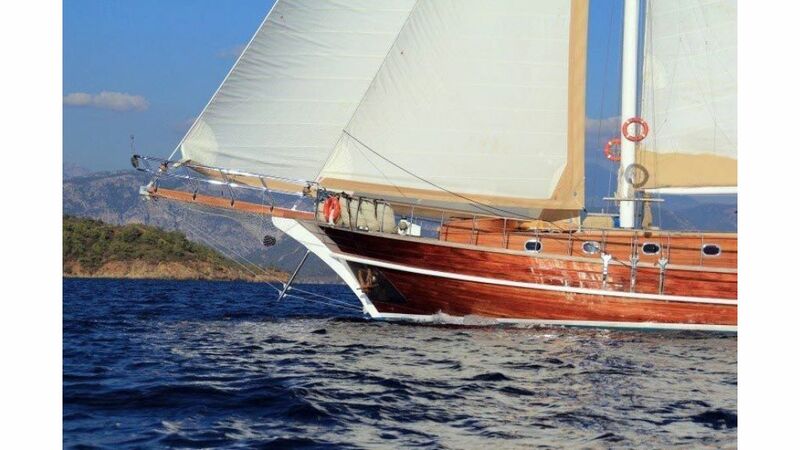 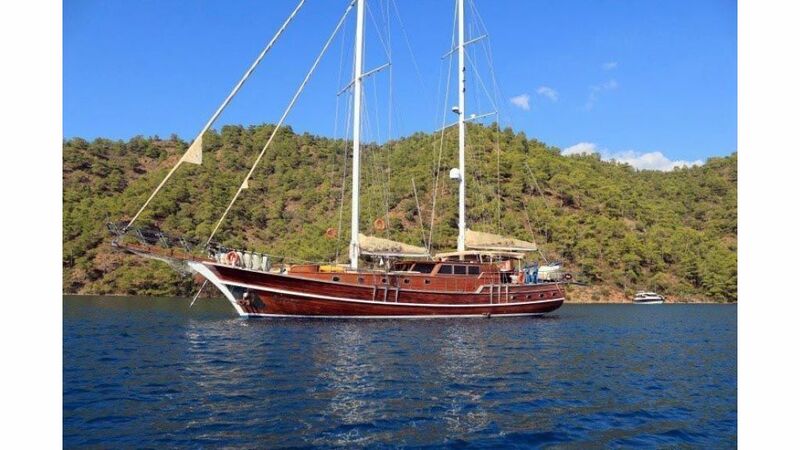 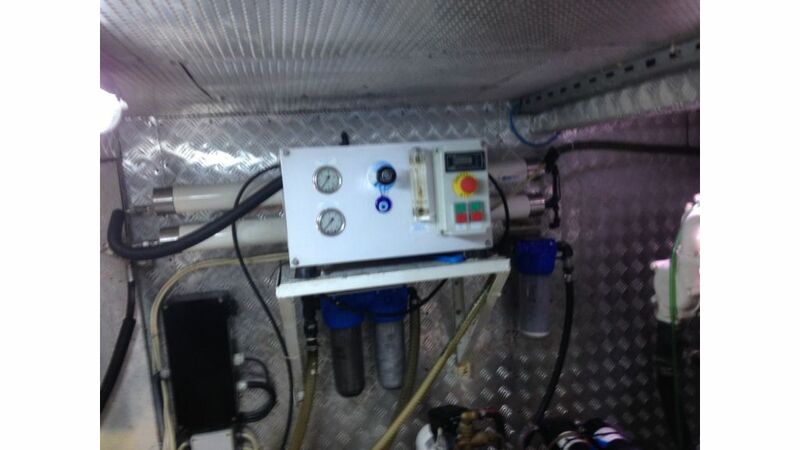 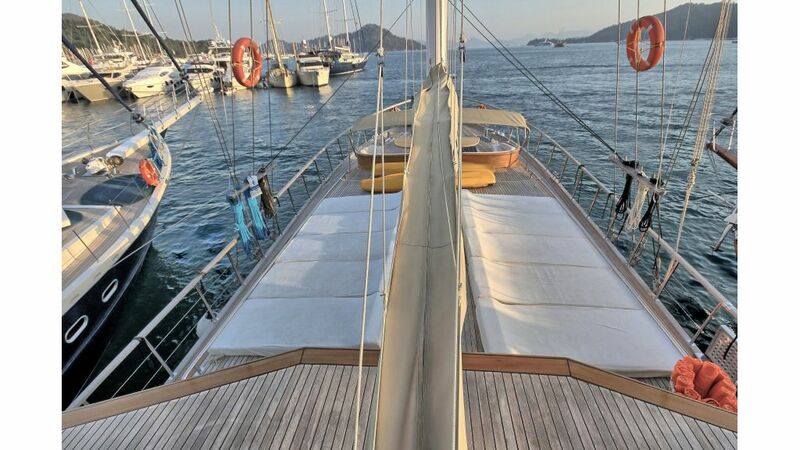 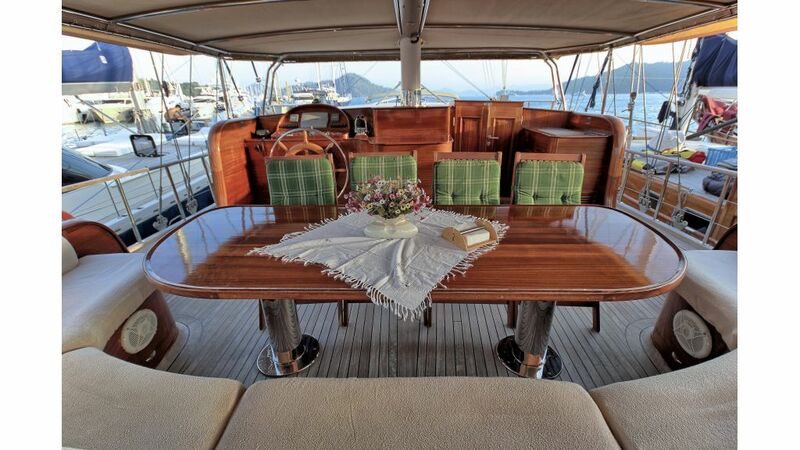 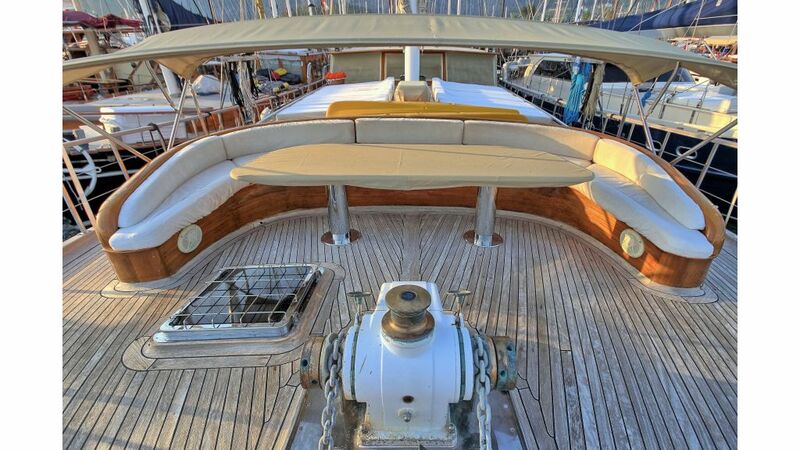 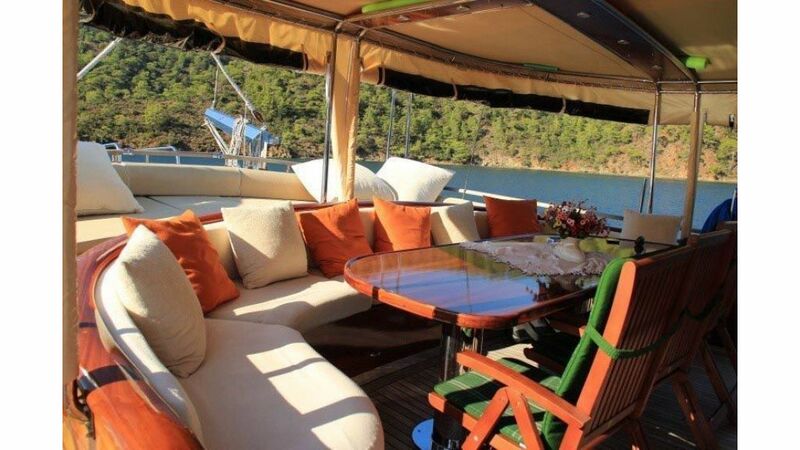 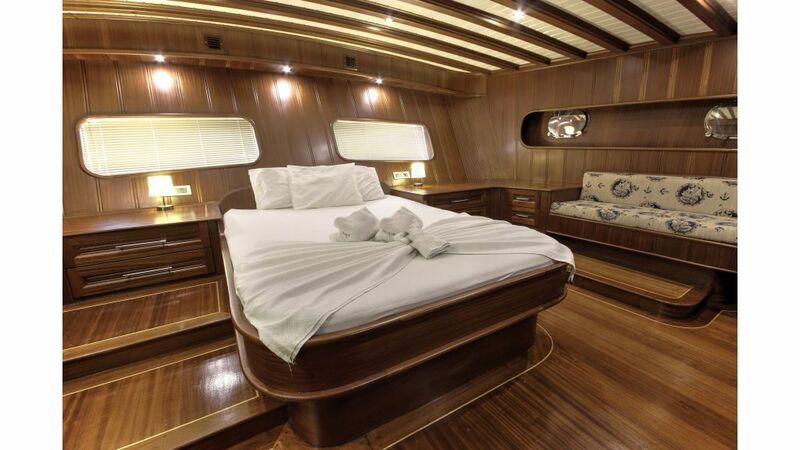 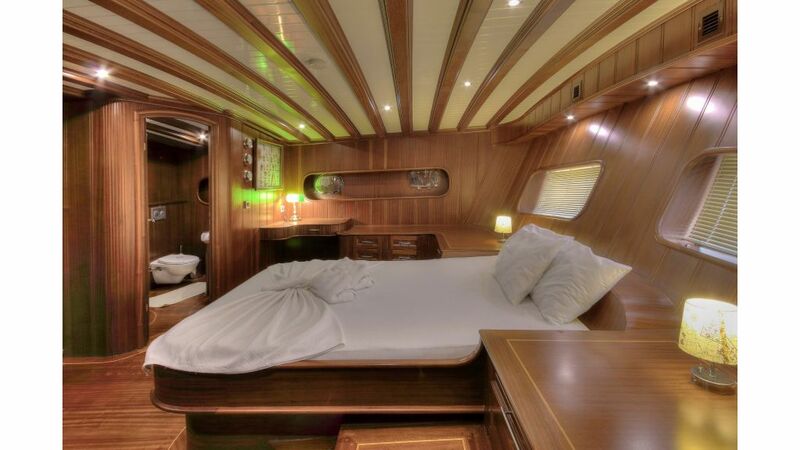 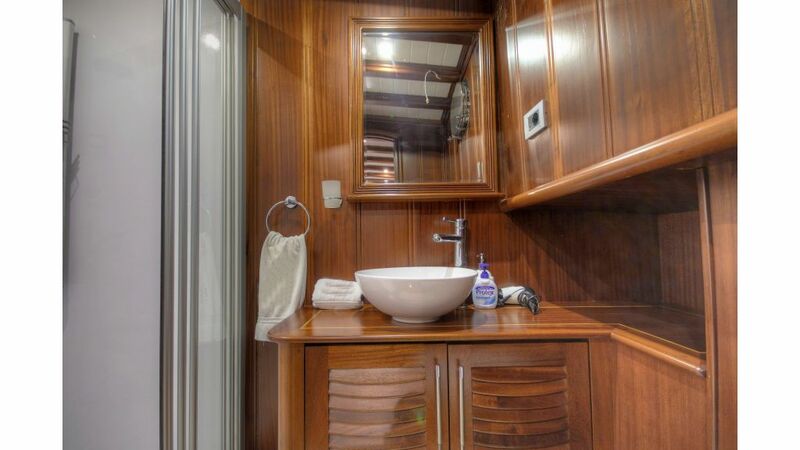 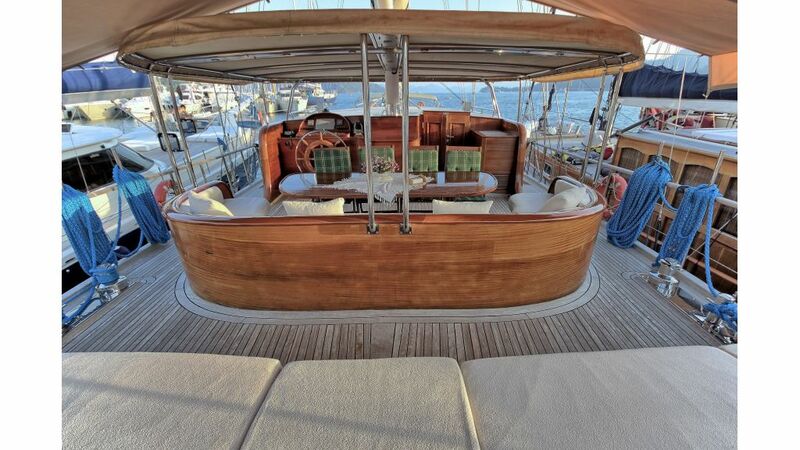 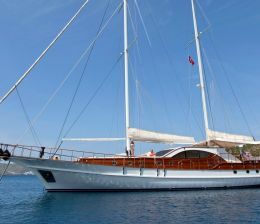 She is 2009 built and launched in june 15th 2010, 24 meter ketch in from Fethiye / Turkey. 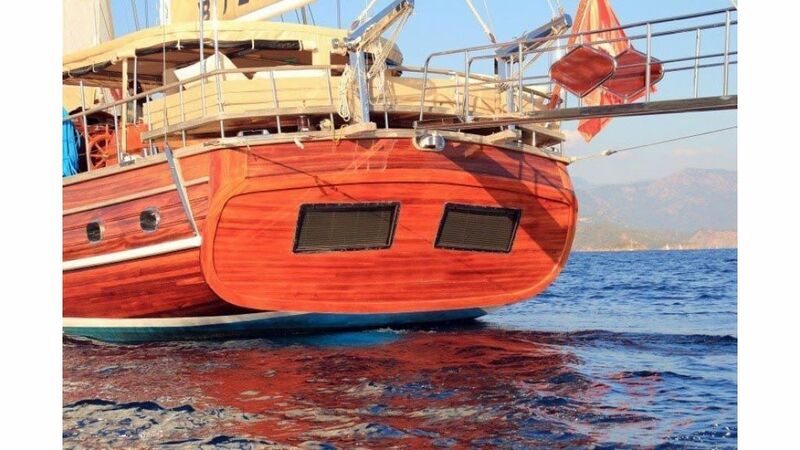 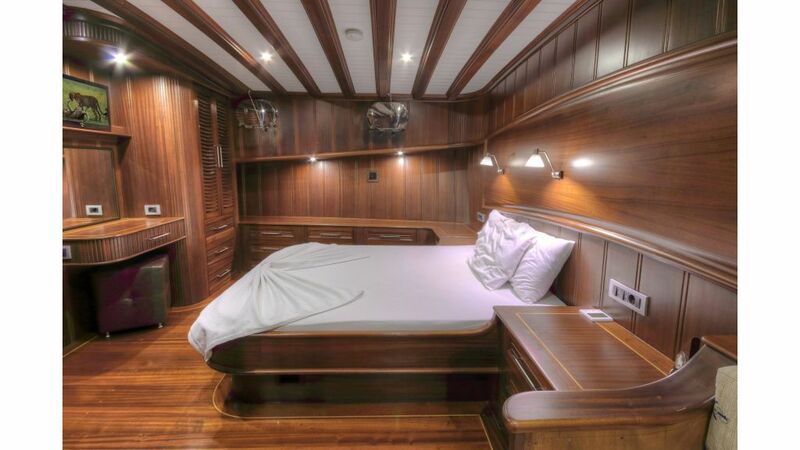 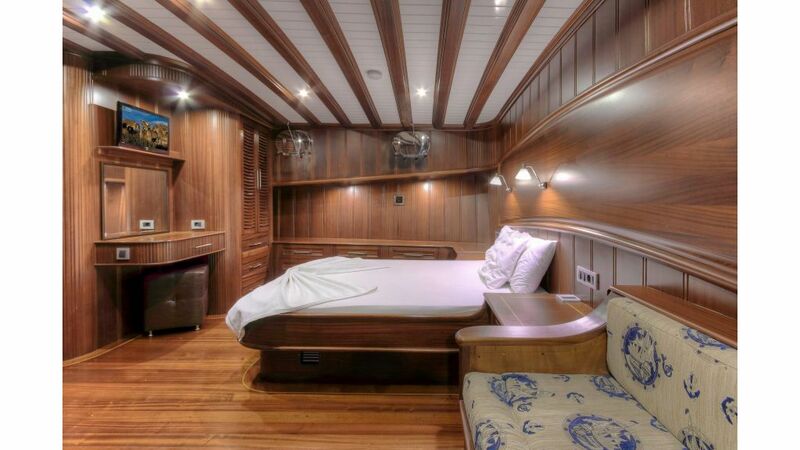 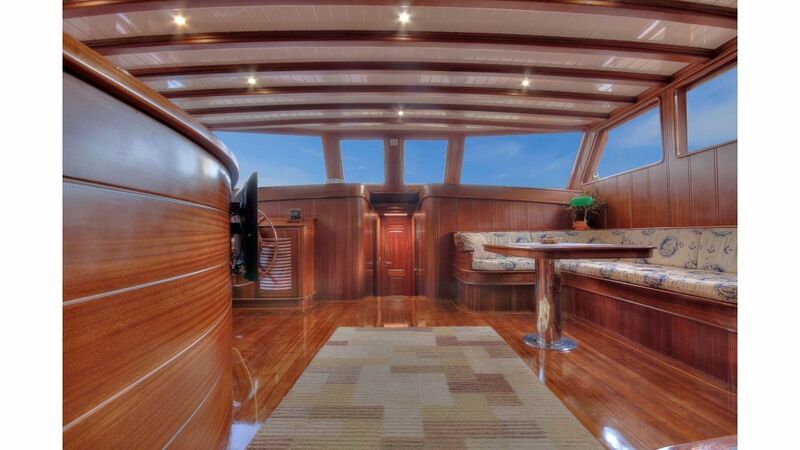 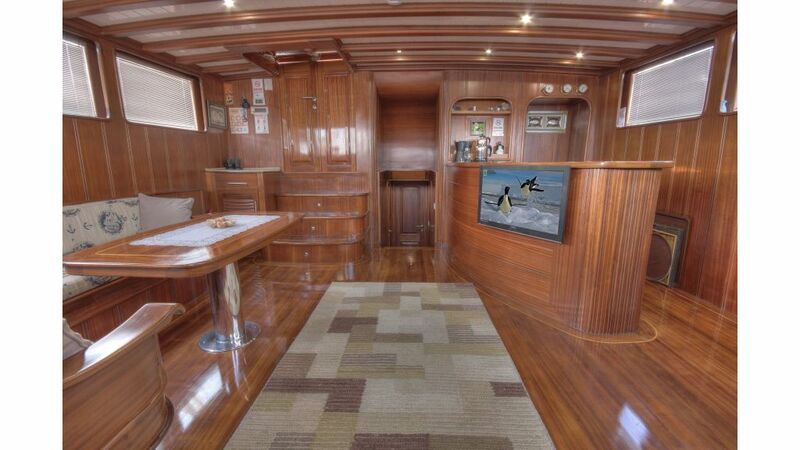 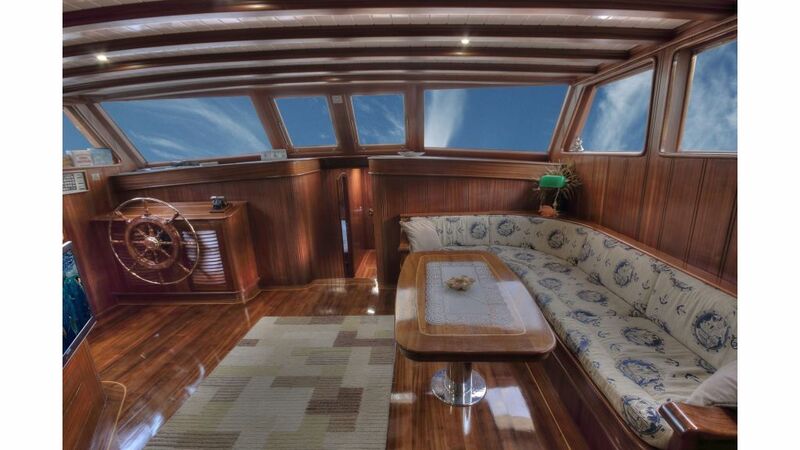 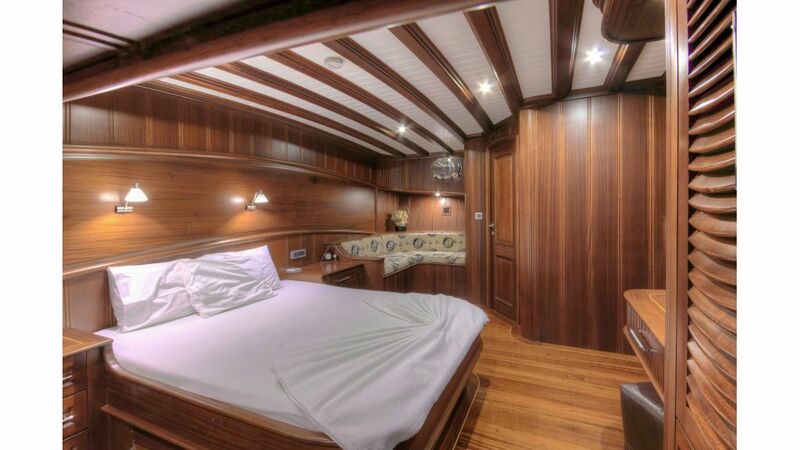 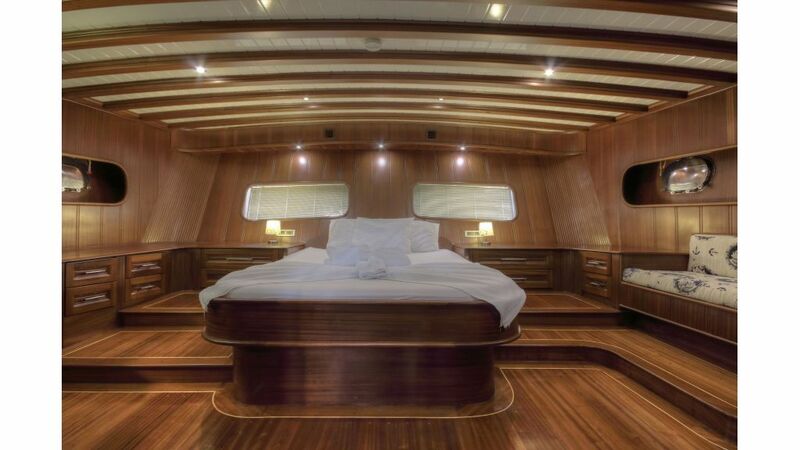 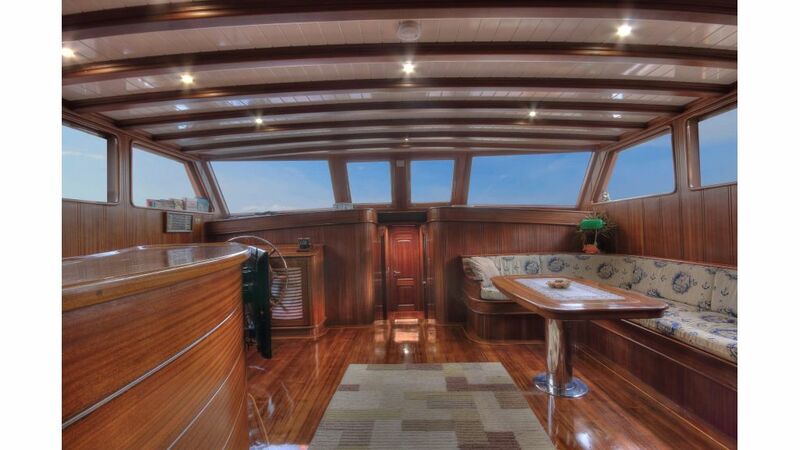 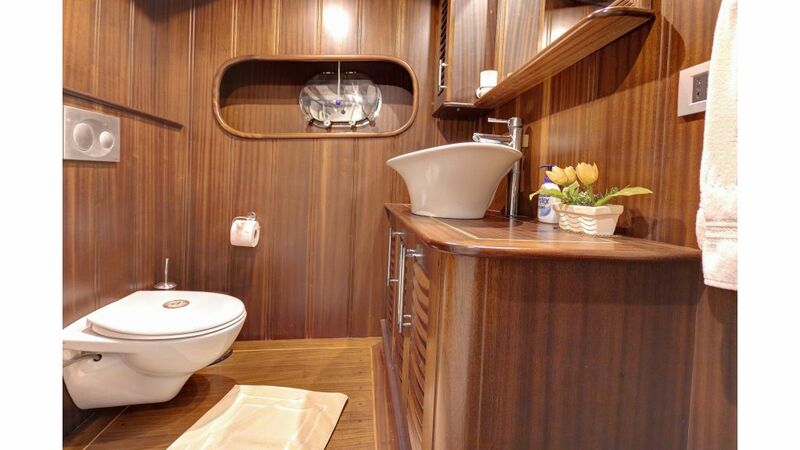 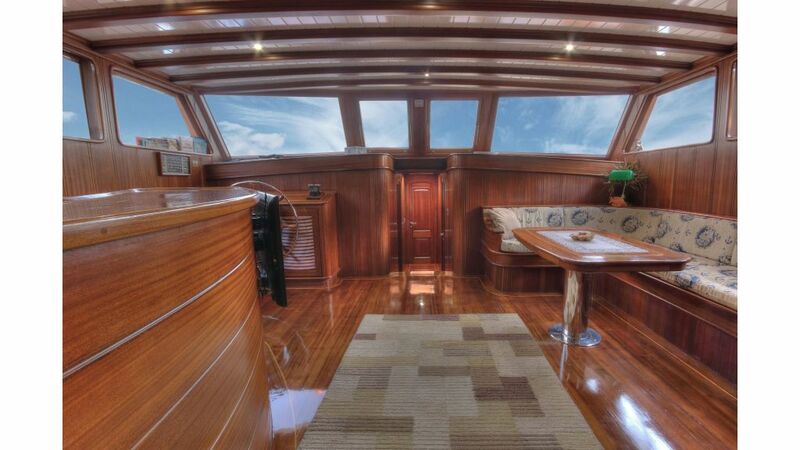 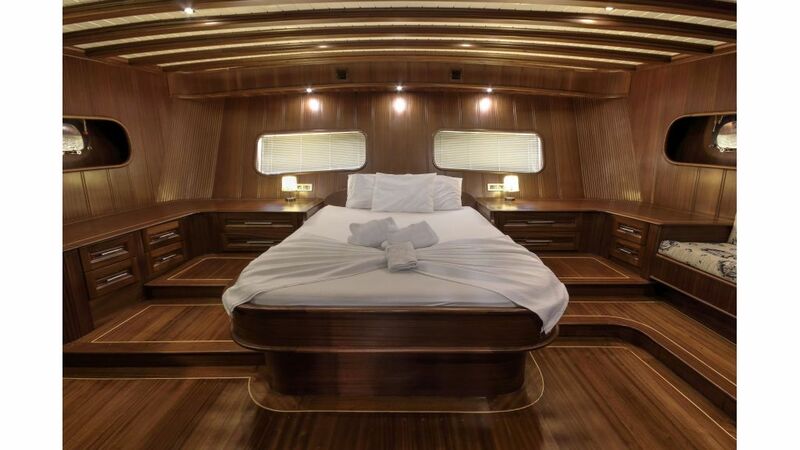 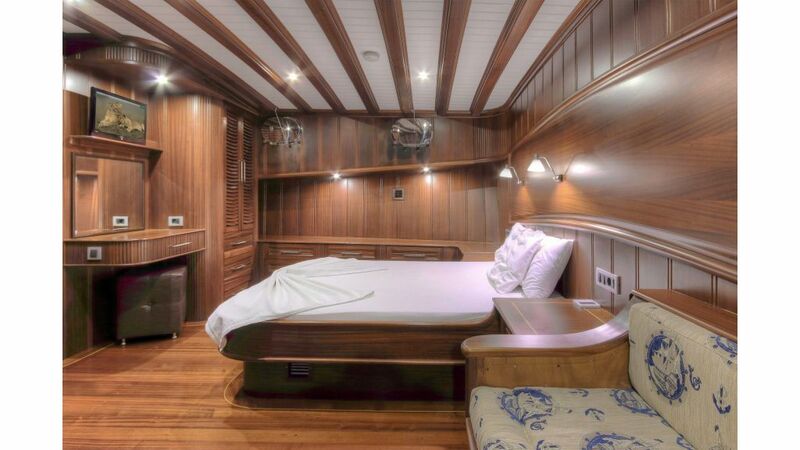 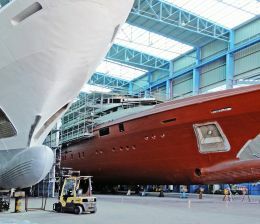 she is one of the latest boats which has been built with the highest standards ( lloyd class) in Fethiye boatyard, she has been epoxy laminated with 4 layers of akaju and mahogany , the bilges and lower parts of the engine mountings have been filled with mahogany and epoxy in order to obtain rock solid keel and the hull is strengthened exageratedly to make her an ocean going motor sailer with all the toys and goodies in her construction. 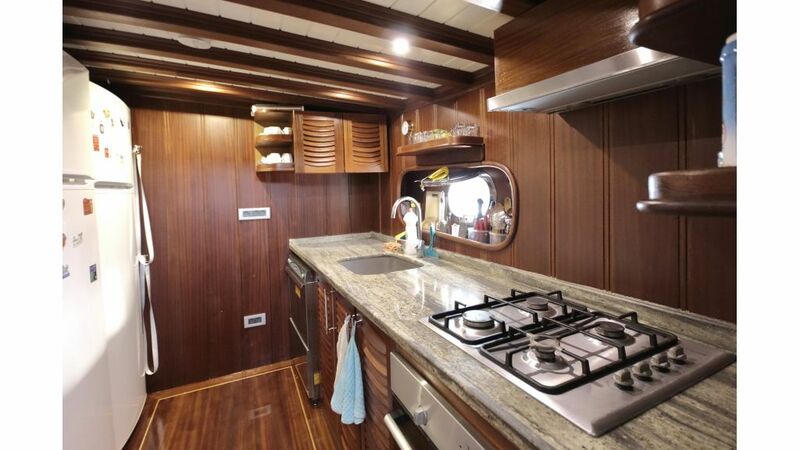 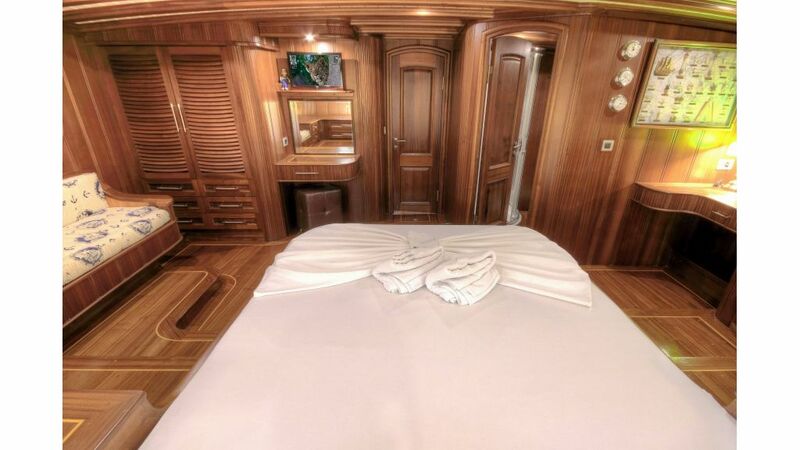 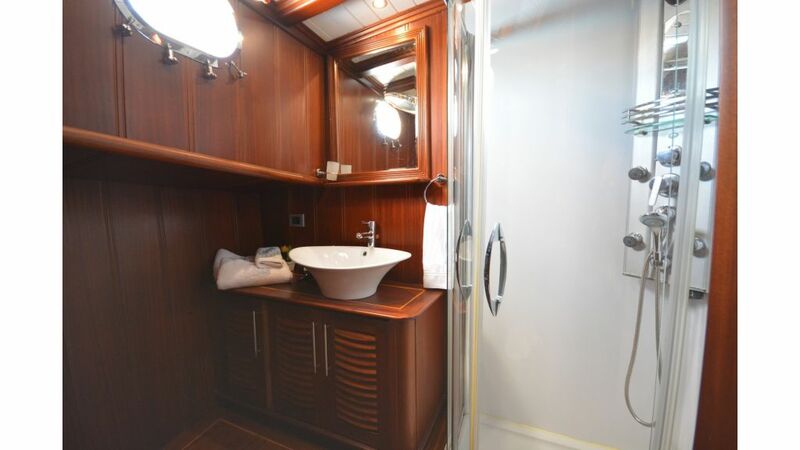 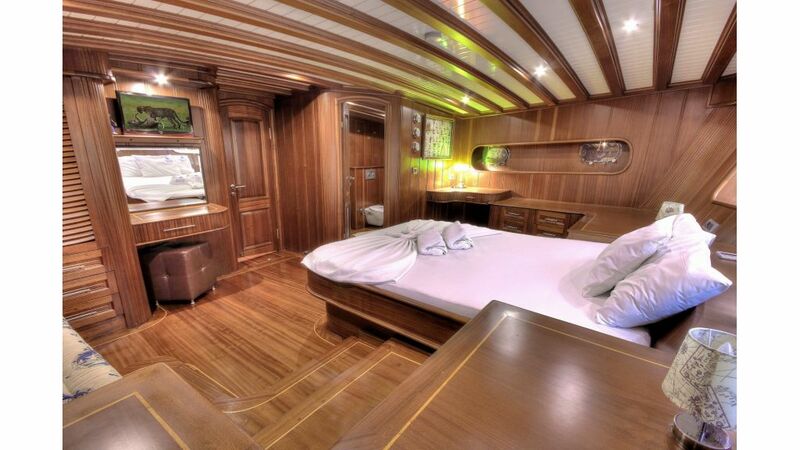 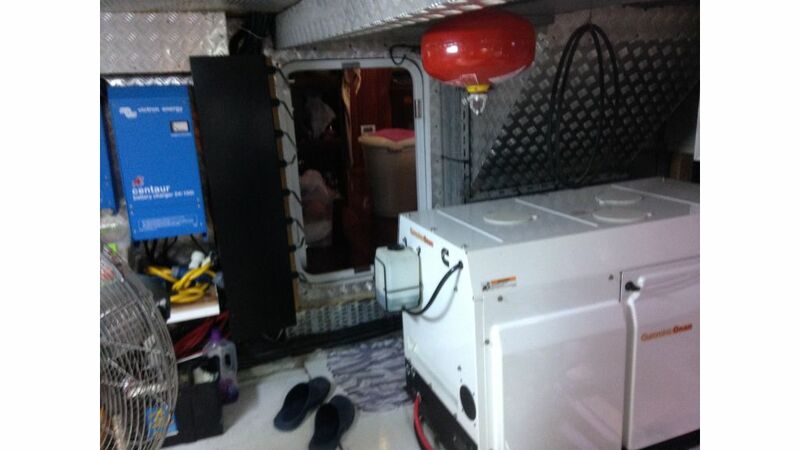 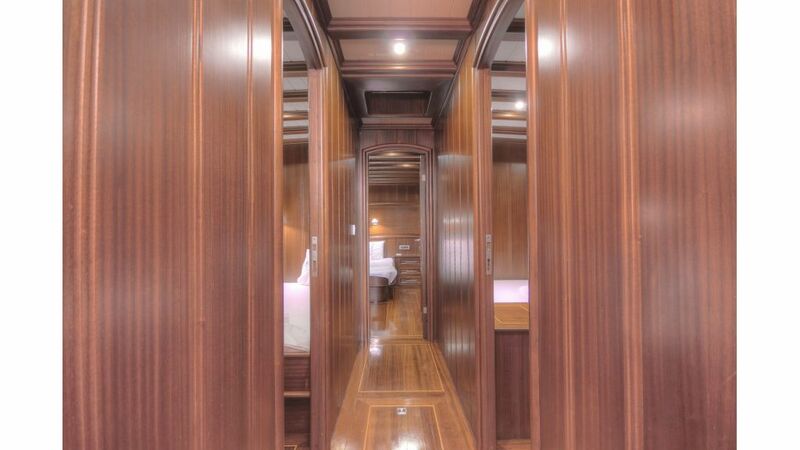 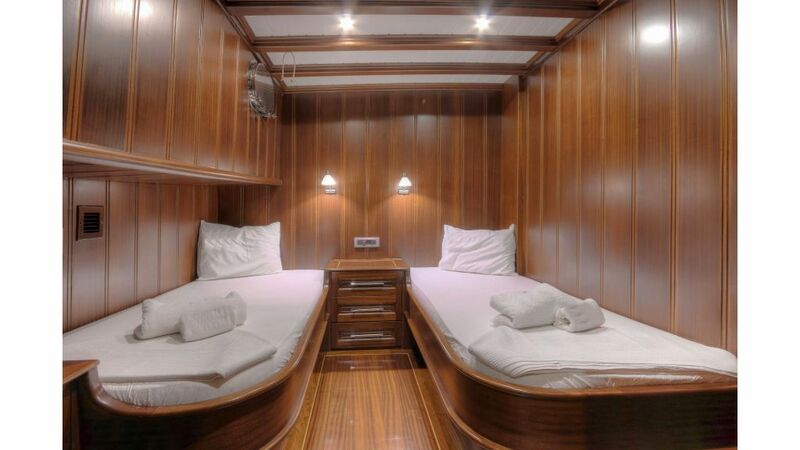 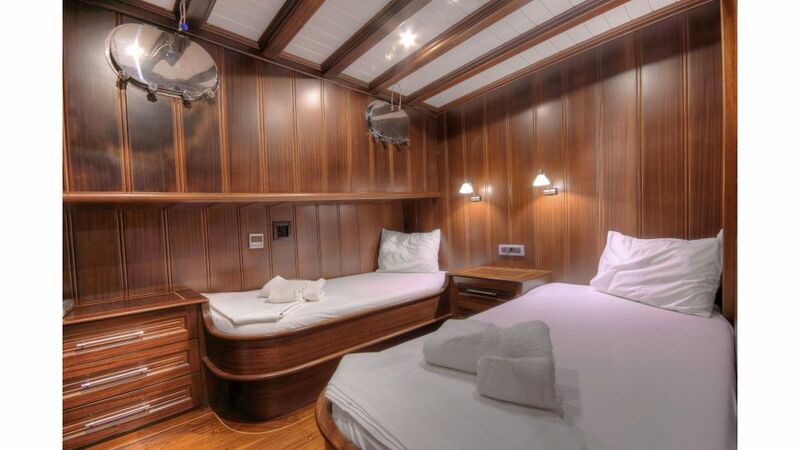 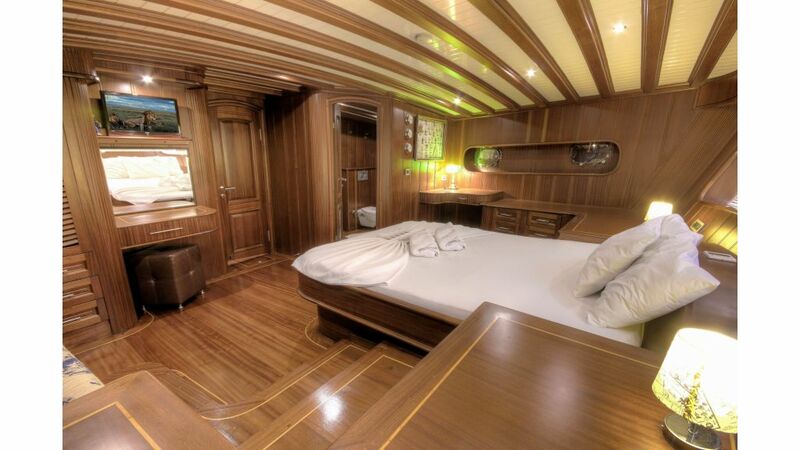 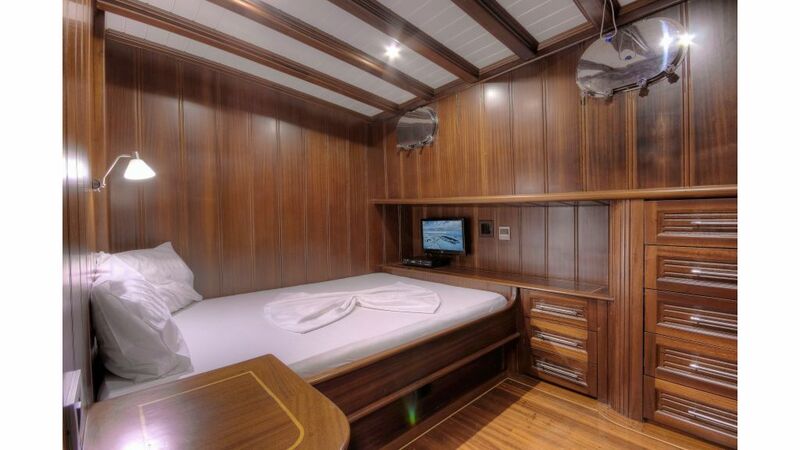 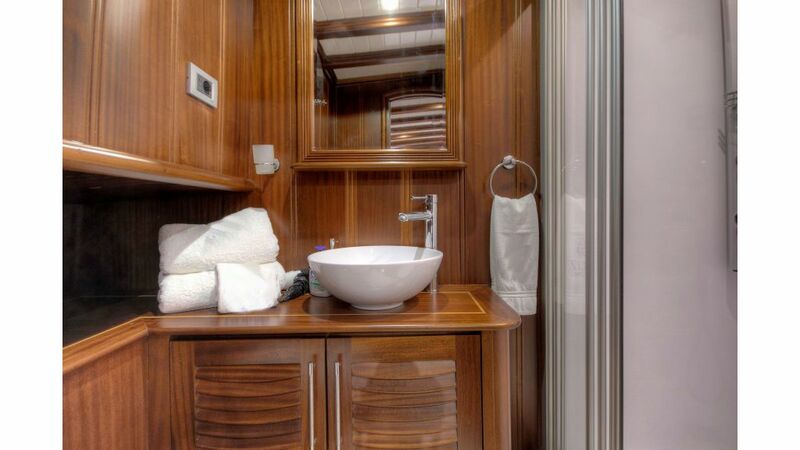 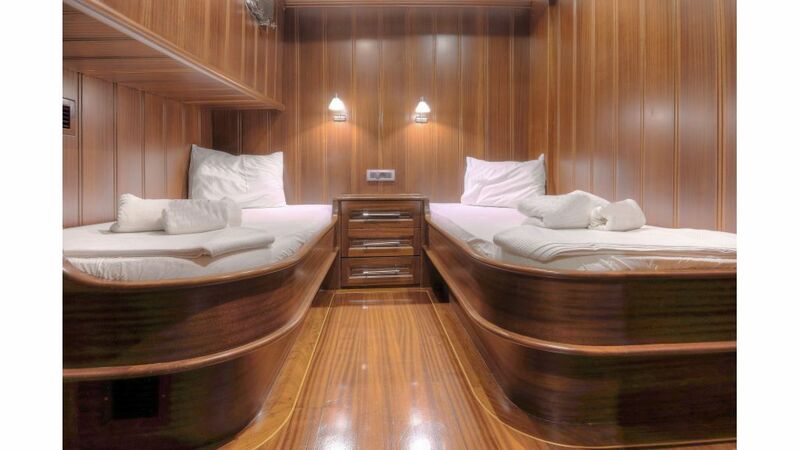 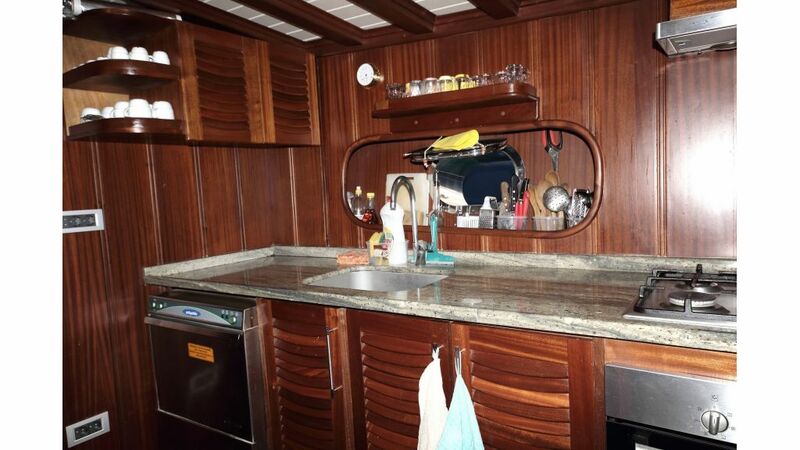 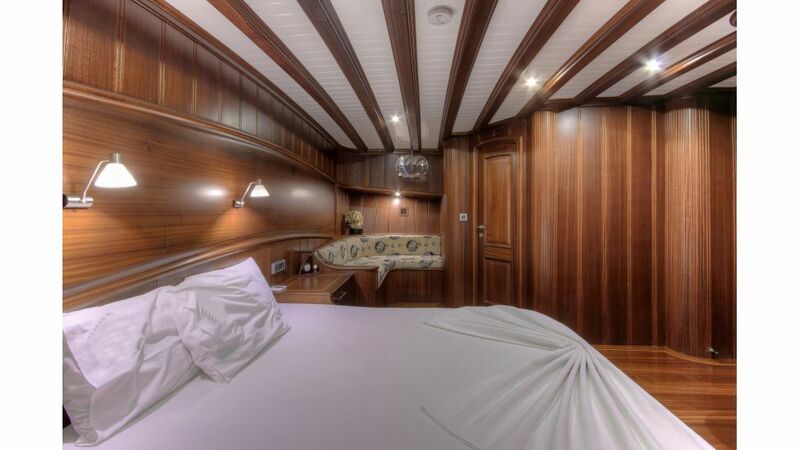 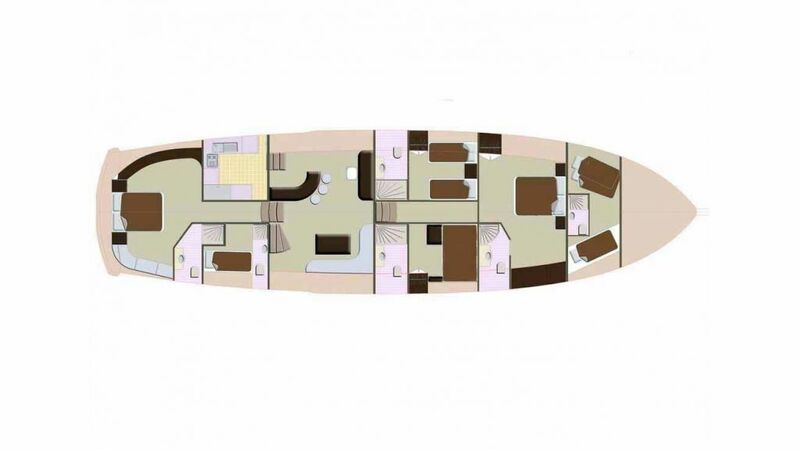 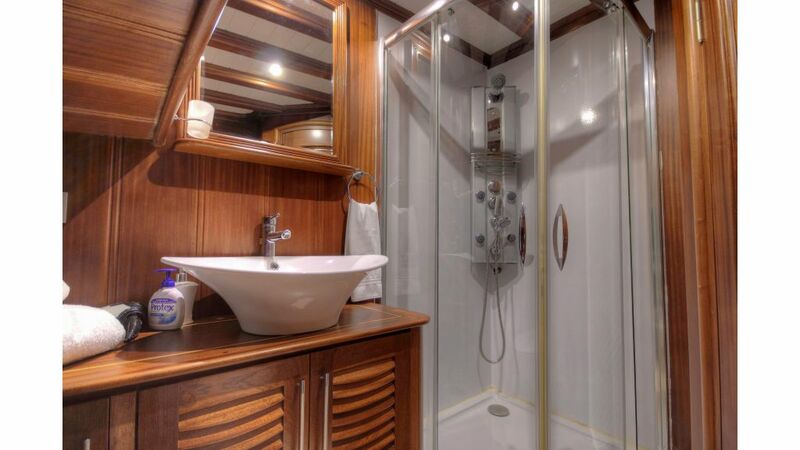 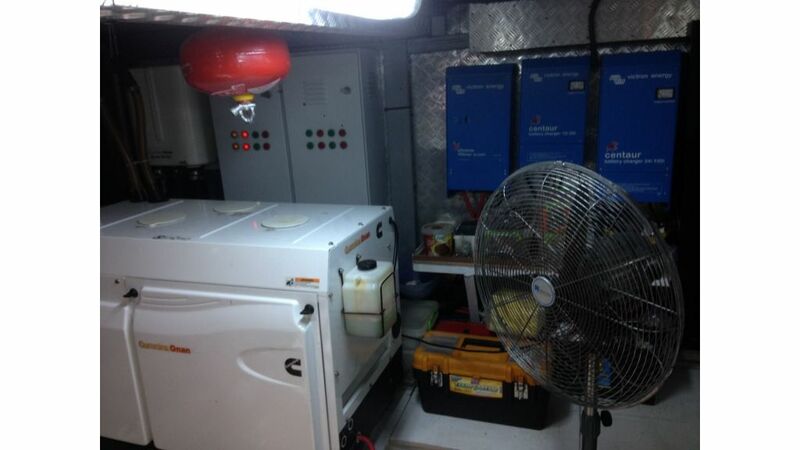 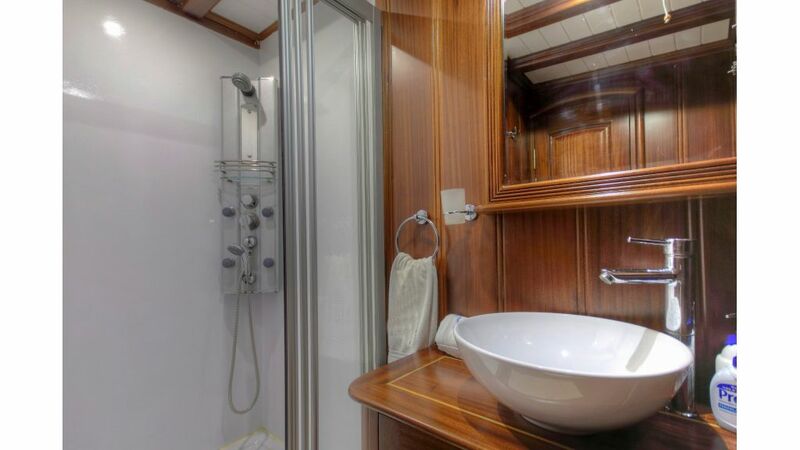 there are 6independent air conditioning system which cools off or heats her 4 large cabins including saloon , kitchen and the crew cabins. 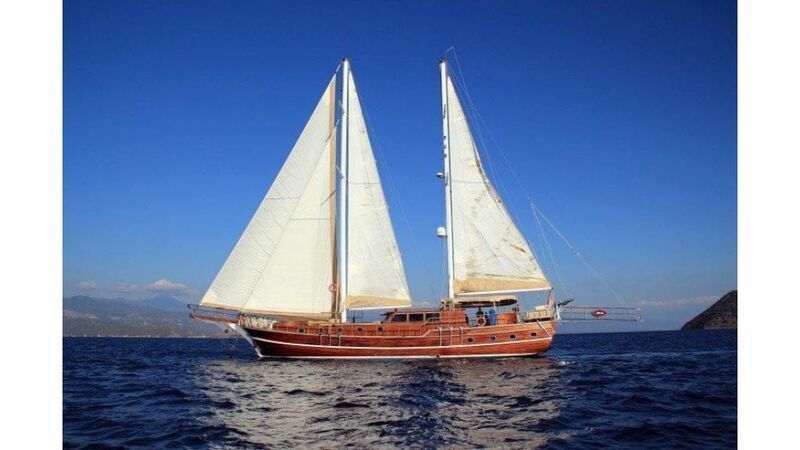 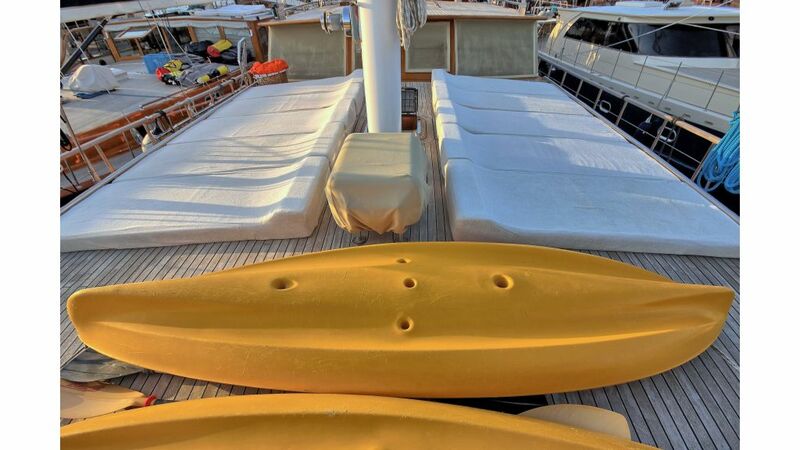 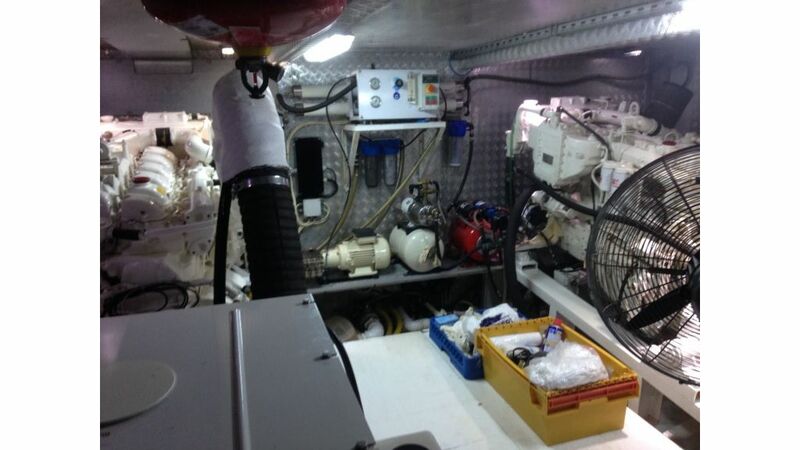 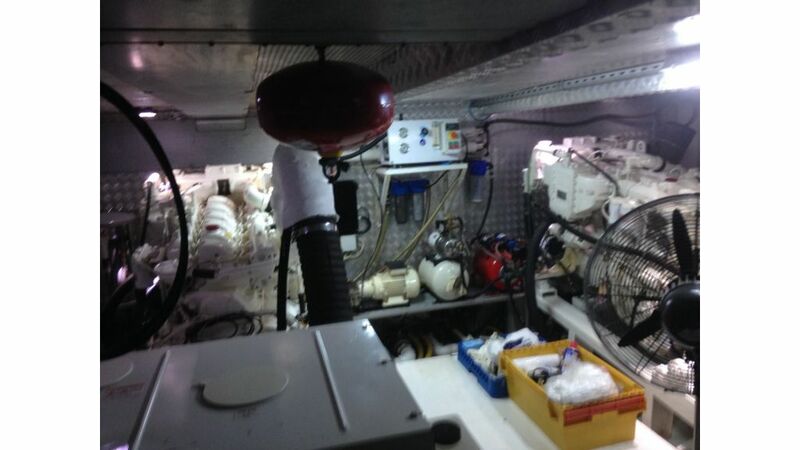 she come in with full batten sails (4 sails ) and armed with sailing gears (4 winches) to take you out blue cruising.